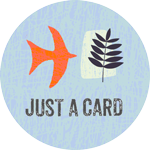 I want to help raise awareness of the Just a Card campaign for small business owners and creatives. Every purchase you make, big or small, makes a difference to a small business owner. If every visitor to a small art gallery bought a card, it helps sustain the business in between sales of art pieces. It can be the difference between opening the gallery doors, or closing up shop. The cumulative effect of these small sales helps drive creatives. If you admire the work of a creative, and you find yourself browsing their card rack – if you find something you like, don’t pass it by, smile and say “that’s a nice card!” Support the artist and put your money where your mouth is. You can’t even buy a McDonalds meal for £2, but you can support local artists! I’ve been exhibiting my paintings locally for over 15 years, on and off. The early years were more fruitful – I only showed paintings, and people seemed to like them and buy them. The last few years have been less successful, not just for me, but for my peers too – the recession did hit the art industry, and footfall (and thus, sales) has been noticeably lower at the exhibitions I’ve been part of. Groups are struggling to achieve the commercial success that was available in the 90s and early noughties. As I paint for pleasure, and don’t rely on the income I am more fortunate than other artists. I have noticed that sales of prints has increased as buyers are more reluctant to part with cash for originals, even at reduced prices. I began making cards of my most popular paintings as an additional stream of income. They’re fun to make, there’s profit, they’re very affordable, and it also serves as another way to market myself – every card I make includes my basic contact details and my name on the reverse. I think it’s a great way to remind people about what you do. It’s always makes me smile when I’m present at a show and I get to meet the people buying my cards – whether it’s a woman buying a set to write cards for her friends, or a child buying one of my animal prints with their own pocket money. It’s affordable and accessible at every level, and that’s why I continue to make them. Click here if you are a fellow creative, and download free flyers and posters to support the campaign in your shop or gallery.